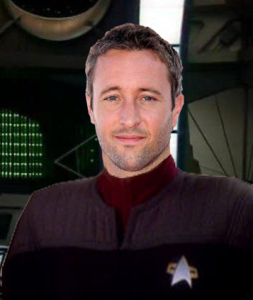 Alexander 'Xander' Knight is a 20 year veteran of Starfleet and father of two teenagers. He served aboard the Federation flagship, fought on the front lines of the bloodiest war in Federations history, worked hard to gain his commission. He was a devoted husband and has been a loving father, especially since the death of his wife in 2383. A new chapter is opening up in his life now that his children are in high school and he has been reassigned once again of the Federation's Frontier, perhaps even a new beginning.